Thanks to the creation and presentation of street theater performances in 5 European partner countries through participatory processes, Mauerspringer project proposes the street theater as an art form that happens in public spaces, on streets, squares and in unconventional places. It welcomes any kind of audience, regardless of age, culture or ethnicity. Mauerspringer project plans new strategies for developing audiences through the active participation of non-professional actors in workshops and shows on one hand, and the active involvement of spectators who assist these shows on the other hand. Play to win a trip! How much do you know about Europe? gives the right answer to 10 questions & take part in the prize-draw which is free of charge. 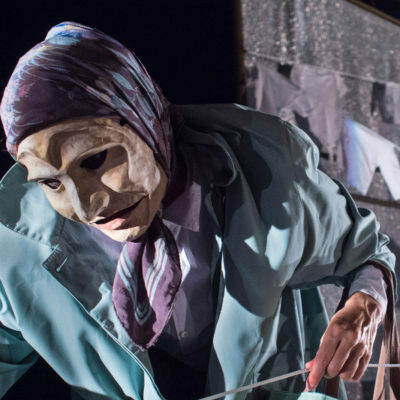 in the first half of September 2019 in order to take part in the big International Festival of Street Theatre. 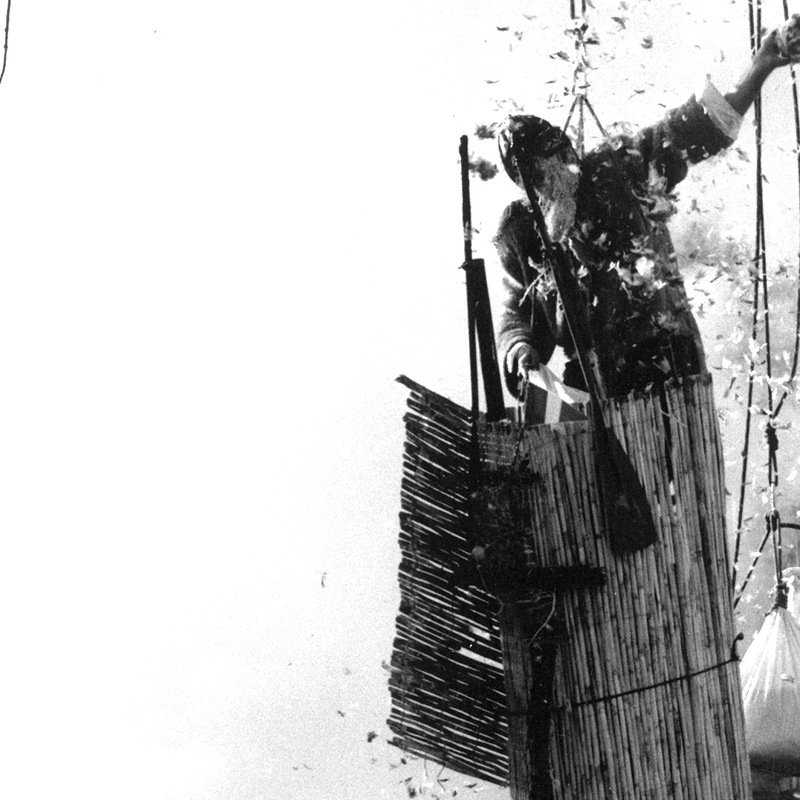 Mauerspringer – Wall Jumpers aims to redefine a new street theater dramaturgy based on contents of social criticism. This project considers street theater as a specific art form of strong social and artistic impact that will be widened through photography and video documentation. The performances circulate between the partner countries while photographers and a video-maker accompany them on an itinerant path. Photos and videos reveal the relationship between non-professional actors who participate in the workshops and shows, spectators and the performances themselves. 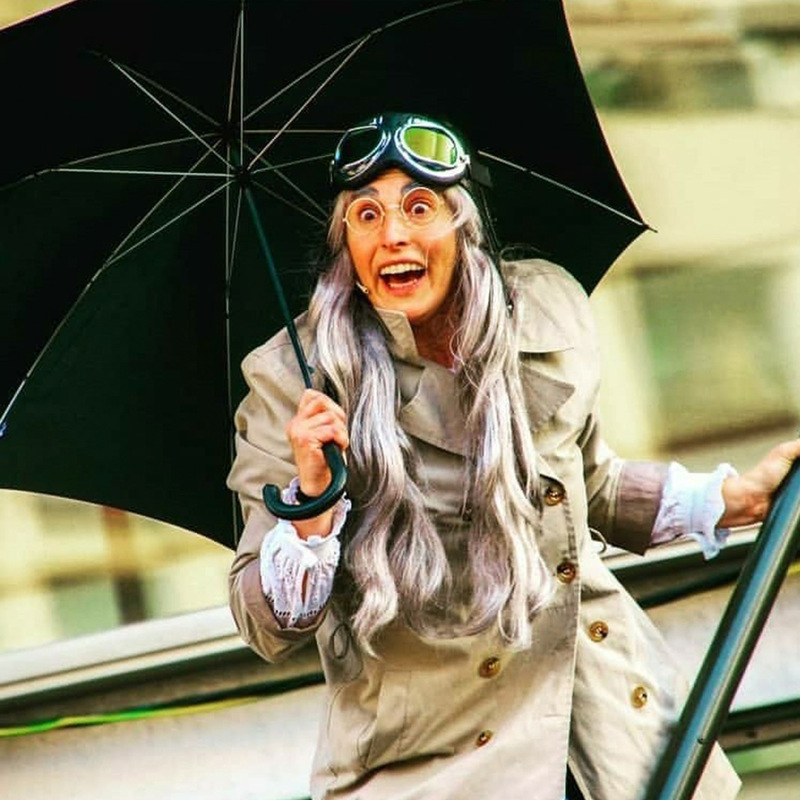 Thus, digital pictures create a storytelling about real street theater performances and participatory creative processes. 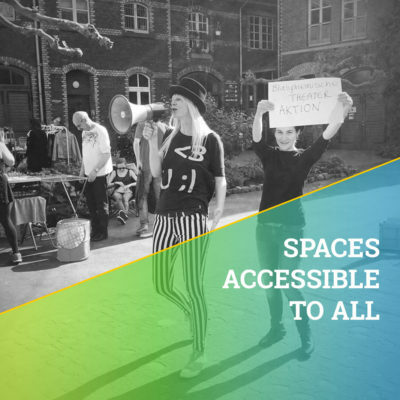 Internet, social networks, web applications and smartphones will invite inactive audiences to get out to the public spaces where social aggregation and street arts happen. 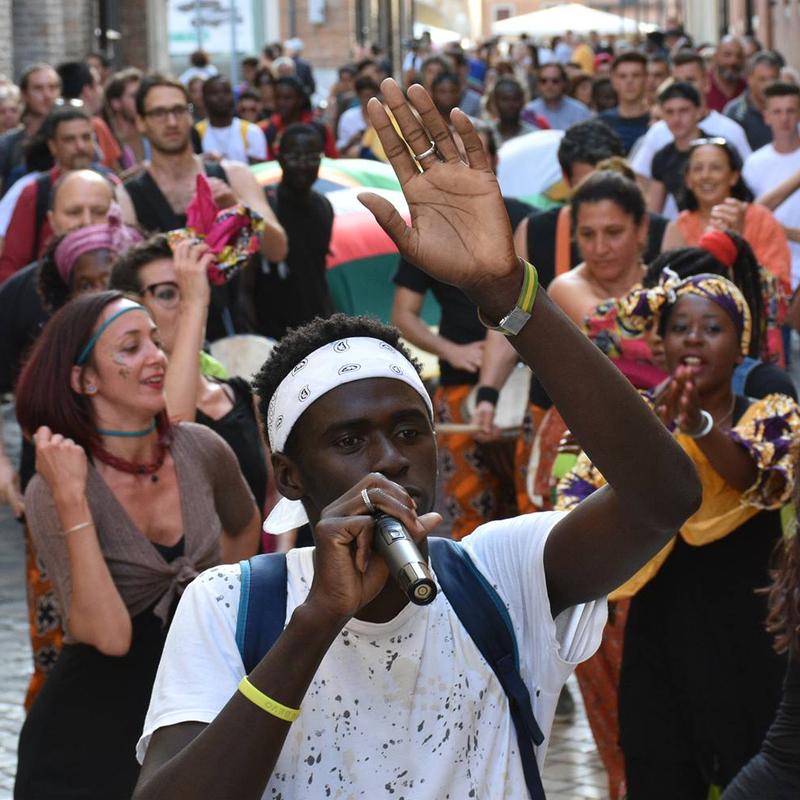 The interaction between three art forms fosters a creative system where street arts communicate in different directions, on different channels and with different languages in order to reach a wider audience and stimulate people to take part in cultural life. 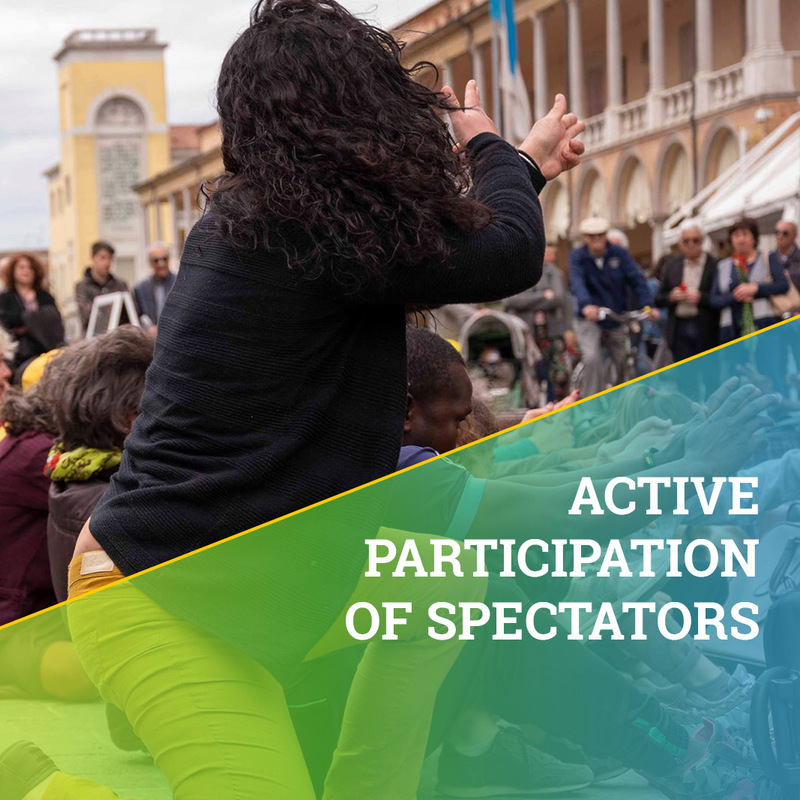 The objective of developing a new active audience and forms of participatory street theater responds to social and cultural needs. One of these needs is to break down the walls of prejudice towards people from different cultures and develop tolerance and open-mindedness. The project proposes theater workshops where physical and creative training and collective rehearsals promote peaceful coexistence, openness and solidarity among the participants. 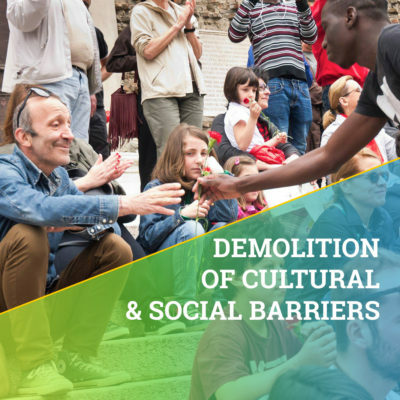 The 6 partners from different European countries practice street theater of civil commitment and social mobilization through various participatory artistic experiences. 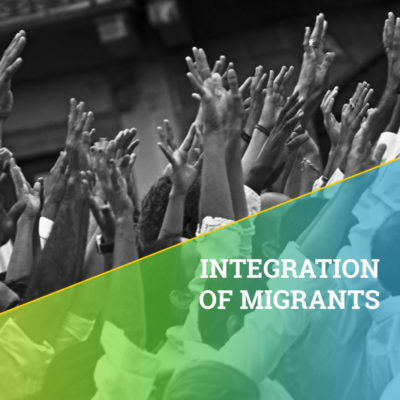 The interaction on a European level makes it possible to support, compare and strengthen different but similar artistic experiences and different ways of involving the audience and non-professional actors. Each partner will provide creative ideas and solutions to organize workshops and create participatory performances. The activities of this project will strengthen the impact of street theater in Europe and contribute to the cultural growth of our communities which is the base of democratic and peaceful coexistence of different cultures in Europe.